The hotel, based close to the historical town of Salisbury and close to Breamore and Fordingbridge, takes its name from a male trout and not the bovine as widely thought, is an early 18th century building with grade II listing and still holds a wealth of its original character and charm as a former Coach House. Join us and experience our comfy, relaxing atmosphere whilst you sample our wide range of quality wines, locally brewed ales and a selection of favourite lagers and ciders. Or why not dine on our mouth-watering cuisine prepared in our kitchen, served in a relaxing setting that is perfect for luxuriating over a plate of fresh, seasonal produce? We pride ourselves in offering the best dining experience in the area. Book now your party with us! We can cater for big or small groups, our function room sits up to 30 people and there is another 20 covers in the restaurant. 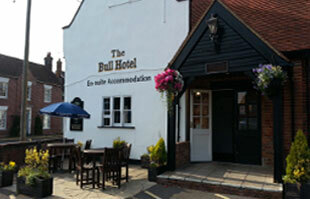 For bookings and enquiries call us on 01725 510 374 or email us to bullhotel.downton@aol.com. All that's left to say is many thanks for choosing us and we hope you enjoy your visit! "Thank you for the delicious meal which was well presented and good value for money. 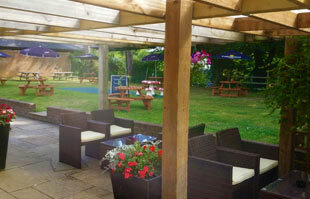 All set within an idyllic location. Definitely returning."